As Madea, a no-nonsense granny prone to vindictiveness and gunplay but possessed of deep wisdom and a heart as big as her 6-foot-5 frame, Perry is an entertainment phenomenon. 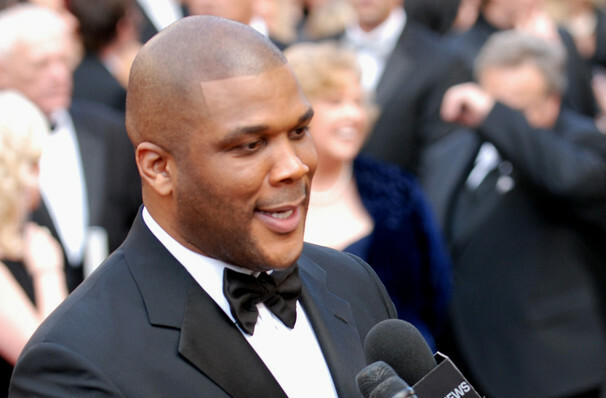 Why See Tyler Perrys Madea's Farewell? Exploring themes of race, poverty, love, sexual assault and the ties that bind, the popular Madea franchise began with the 199 play I Can Do Bad All By Myself, which first introduced the world to the incorrigible, curmudgeonly, vindictive and completely loveable matriarch who would do anything for her family. 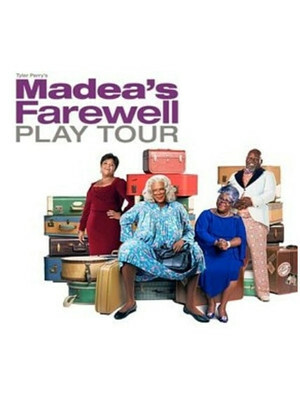 The farewell play sees a joyful family reunion go totally awry when Madea and her crew travel to Georgia to plan a funeral, where skeletons fall out of the closet and family secrets bubble to the surface. Sound good to you? Share this page on social media and let your friends know about Tyler Perrys Madea's Farewell at Fedex Forum. Please note: The term Fedex Forum and/or Tyler Perrys Madea's Farewell as well as all associated graphics, logos, and/or other trademarks, tradenames or copyrights are the property of the Fedex Forum and/or Tyler Perrys Madea's Farewell and are used herein for factual descriptive purposes only. We are in no way associated with or authorized by the Fedex Forum and/or Tyler Perrys Madea's Farewell and neither that entity nor any of its affiliates have licensed or endorsed us to sell tickets, goods and or services in conjunction with their events.